Don't you love the sight of a luxurious bedroom? 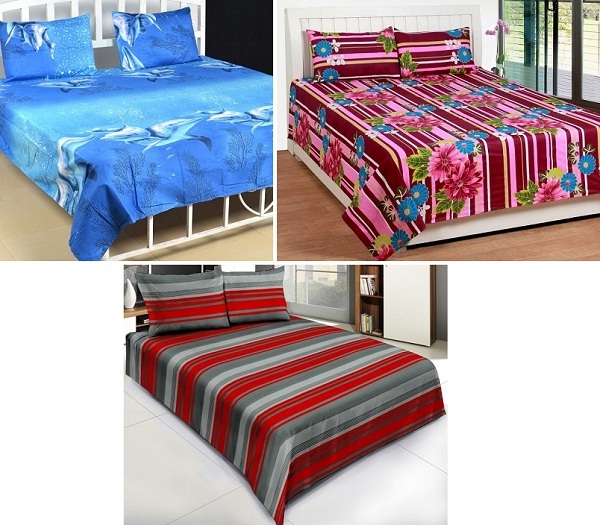 What makes it so appealing is the bed and the beautiful bed-sheet. How about making your bedroom look luxurious every single day? Simply invest in a few bed-sheets with really appealing designs and it's done. If you want your bed-sheet to steal all the attention when someone enters your room, opt for these designer bed-sheets with exclusive 3D prints. The design of these bed-sheets takes you into a new world together. All you need is to be liberal with your colour choices. It is good to get a little creative at times. If you are a minimalist, you will love these dual tone bed-sheets with subtle prints. These bed-sheets can really change the way your room looks without making it look loud. #3 Love floral prints? Check these out! Floral design never fails to impress. 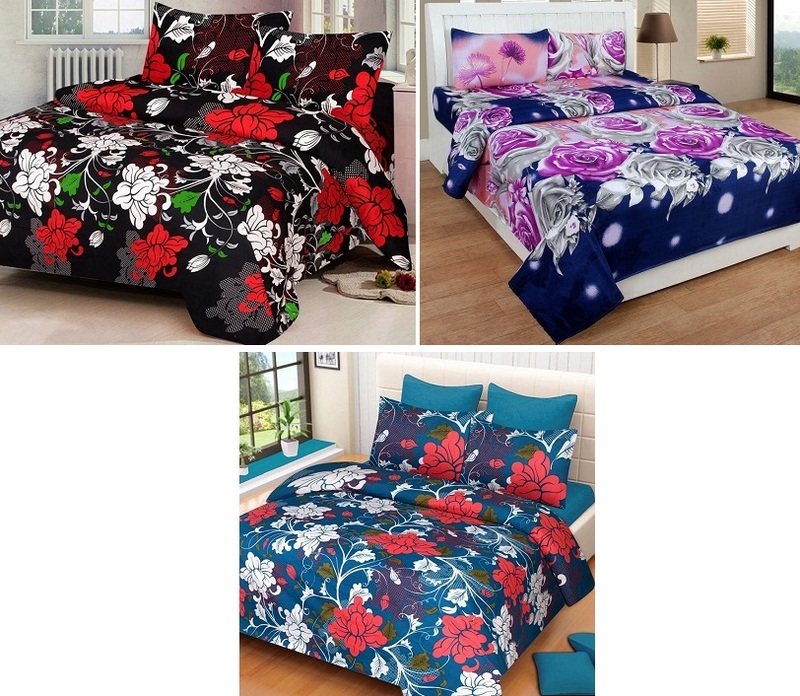 If you are a fan of floral prints, these floral printed bed-sheets are your best bet. However, you must pick a colour based on the overall look of your bedroom. If your room is bright and well-lit, go for dark coloured bed-sheets. If your room has dark coloured walls, opt for the lighter tones. 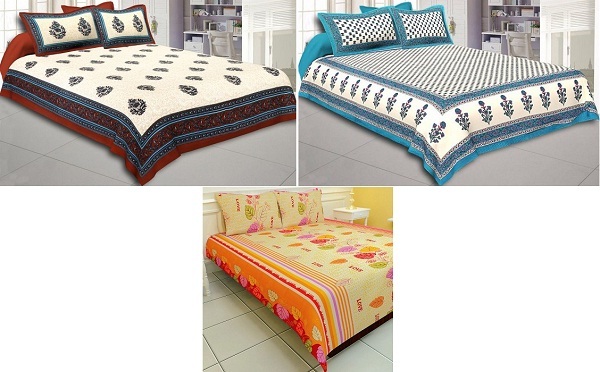 These bed-sheets with geometric prints are perfect for those who are not fond of floral patterns. Floral bed-sheets are generally loved by women. 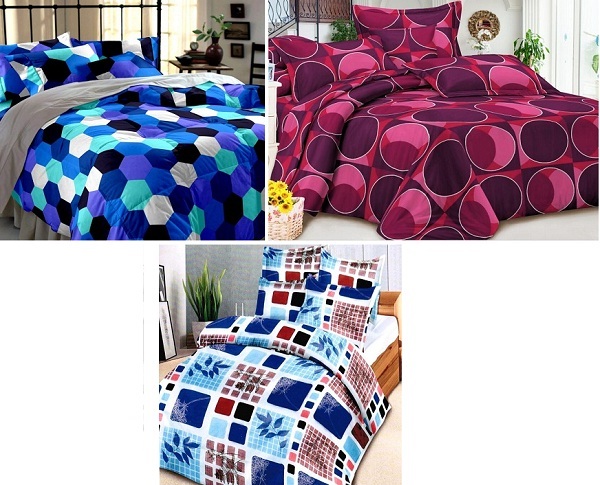 These bed-sheets have an interesting blend of geometric designs and colours which make them look distinct.